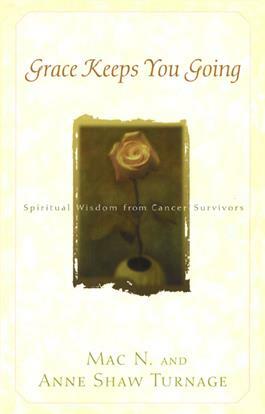 In Grace Keeps You Going: Spiritual Wisdom from Cancer Survivors, cancer survivor Anne Turnage and her husband Mac have compiled an inspiring collection of stories from cancer survivors. This brief volume includes quotations and prayers from cancer survivors and others that provide real insight into the lives of those who are faced with the disease and express the range of emotions experienced by family members and other loved ones who care for them. These heartfelt, heartwarming, and humorous stories are taken from actual events in the lives of those with cancer, giving readers an authentic experience that allows them to share in the grace that lifts the spirits of cancer survivors.